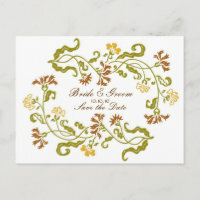 This collection features a garland of flowers in rich and warm fall colors making it perfect for an autumn wedding. Choose from six paper types and nine colors. Invitations automatically come with plain white envelopes. 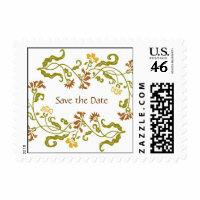 Everything is fully customizable, just insert your names and wedding details in the spaces provided. This design is a Poptastic Bride original.